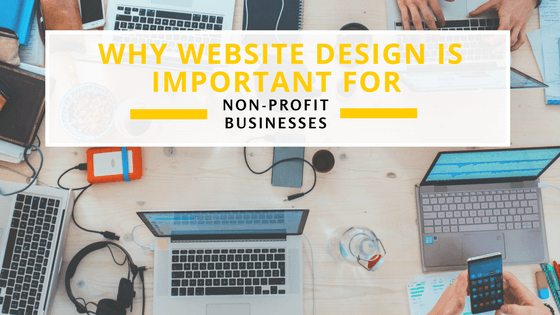 Home>Web Design>What makes a website really important for a non-profit? People have switched from common ancient practices to smart innovative practices. This represents that people change from time to time as technology advances. So, when people switch from one state to another state in aspects of technological advancement, they expect their resource to obtain the same level of improvements. This makes services providers and business owners to come up with ideas and executions that find its way among its customers. One among this improvement include the online presence. In recent days, every single product or service is placed in the online market when compared to the offline market. From home needs to industrial needs, the online market serves to be the best. And that is why every business owns a website that could represent its services or products online. To our surprise, there are numerous web design and development companies that genuinely help businesses to build websites. In this post, We wish to explain you on the importance of owning a website for a non-profit organization. If you are running a non-profit organization then this is absolutely free for you. You could have a look at the importance of owning a website and the procedure to develop a website for your non-profit organization. There are several things that add up value to your business or non-profit organization. Here you could find a few that really bothers. Contacts are really important to run a business. They help non-profit organizations to explore more about the society. Which indeed helps them to build their organization effectively. This not just stops where you think. On expanding contacts, you will be able to find people who can help you with organizing events. It really makes it simpler that you may not go in search of volunteers or donors, rather your website does that all. A simple notification on your website can automatically help people know that you are running such an organization. People these days are very much interested in building their contact list. Offline promotions could spare a lot of money, whereas online promotions just need a well-furnished website. You could post a promotional video of your upcoming event on your website and let it go viral on the web. As we have mentioned, a well-furnished website is really important for a better user experience. Only then having a promotional video would make sense. On the other hand, adding social share buttons on your website could make it more effective. By providing such functionalities you give a chance for your audience to promote your business on your behalf. The non-profit organizations are not accountable to the government. Their funds are completely used up for their services. And on their needs, they raise funds. Fundraising is one of the biggest tasks that these non-profit organizations face. People may or may not believe such organizations initially and it would be a high time for organizations to collect funds. At such circumstances, websites act as the fundraising portal for non-profit businesses. Building an effective website makes builds trust among users. With website as your tool you can advertise and raise funds. You may even add a payment gateway on your website that your followers could directly contribute to your organization. Trust is the most important aspect of any business and gaining them from your audience is really hard when you are running a non-profit business. A website is a representation of your business. Through it you represent what your business is, what kind of service you provide and so on. Being transparent helps people trust you so much than anyone else. On the website, you can display your business photos or services that you do. You can even write blogs that build traction which search engines support. Adding content to your website is highly important as they are one of the essential search engine optimization techniques, search giants like Google value them. You make your business visible on SERP. Now let us explain to you how to design your website and where to get it placed in the huge competitive crowd. We might even add a few points that you will be able to withstand the competition. The web designs are attention grabbers that may or may not perform well. Making them look good is in your hands. As stated earlier, understanding the nerve of your audience is the most important thing that you need to know. At recent times websites are designed in such a way that they provide better user experience. A website design is really more important just as its presence. You might wonder, what is the need for a non-profit business or a social organization to build a website? Websites are not constrained to any limits or any businesses. They are common to all businesses and organizations irrespective of their financial status. The website is the face of your business or organization. It represents what kind of service you provide. This helps to expand the territory of your business or organization. Nobody would say no to a valuable resource no matter what type of resource it is, resources are always essential. And that is why building a proper and effective website is really important. What are the essential things to notice while designing a website? The above mentioned 10 trends are already in existence and are considered really important as they attract audience. If you wish to know how it works, then you could have a look at one of our previous write-ups on “The Best Web Design Updates That You Should Never Miss in 2018″. Your customers (audience) are the most important part of your business. They build your business parallelly as you do. When you fail to recognize your audience then you fail to build your business. How to find your audience and how to approach them? The audience is the backbone of any business and it is really important to find the right audience for your business. Finding your right audience is really important, they promote business on your behalf. Building your web presence could highly help you build your target audience. As people are so much involved in the web, focusing on your online audience could make perfect sense. People come in search of answers on the web and when your services answer their queries, then you are noticed by a set of audience. By providing the exact answers that your audience require makes them rely on you every time they visit the web. The way you approach your audience is really more important. Always try to understand what kind of audience you have, what age group they belong their tone and several other strategies. Now trying implementing them on your website. Once you do so, you grab their attention. On either side try to broaden your approach for your audience. Make sure that you use social platforms to carry your message to your audience as they are much involved in social platforms like Facebook, Twitter, and Instagram. You can even take it further to the next level by participating in discussions and social forums. Apart from designing an efficient website and getting them placed exactly where they need to be, you should concentrate on certain things that you may appear trustworthy among the crowd. There are several other terms that people expect from a business website, but we prefer these. We find the above-mentioned things are more important when compared to any other credentials available on the website. The foremost thing that every user expects to know is the information about the company. Without knowing the origin or any other information of the company nobody involves them with the activities of the company. That is why it is really important to provide the information of the company very clearly and to be genuine enough that your audience trusts you. So, make sure that you provide a detailed information about your company and get them presented neatly on your website. The services are the next important thing that you need to be clear about. If you are not able to tell your customers exactly what you provide then you cannot convince them about your services. Make sure that you design a proper services page on your website and mention your services clearly. On either side, make sure the terms of your services are clear enough to your audience. This could build trust with your services. Testimonies of your clients speak what you are. The more you build positive impression the more you gain in aspects of new clients. There are businesses that build fake testimonials just for the sake of promotions. Sharing one genuine testimonial from your client is equal to 100 fake testimonials. If the services are genuine enough, your clients would automatically share good feeds on your services. Being genuine is the keynote to positive testimonials. On looking at your websites and the services you provide, people might try to approach you. In order to make it more helpful and flexible for your clients, you need to design a proper contact page and a form on your website. This should be under regular surveillance that you may not miss any of your valuable clients. On the other hand, when you reach your client as soon as they fill in the form, then you obtain their trust. Make sure that every single button and the contact details that you provide on your website works properly. This is highly essential. Businesses having websites are common these days. When it comes to non-profit businesses, people think that websites are not going to help them anyway. And that is why we have framed this post. The importance of owning a website for your non-profit business is really important and that could pay you really well. In case, if you haven’t planned for a website this post would definitely urge you to plan for a better one. If we have missed any of the valuable points, let us know through your comments.